Scott is Ben Hogan’s great niece, manager of Hogan Licensing and the principal family member responsible for his estate. Following the death of Hogan and his wife, Valerie, Scott made significant contributions of Hogan memorabilia to the World Golf Hall of Fame in St. Augustine, Florida; the United States Golf Association (USGA) in Far Hills, New Jersey; and numerous other organizations and institutions involved in preserving the legacy of Hogan and furthering the game of golf. In 2004, Scott authorized and supported the biography of Ben Hogan, titled “Ben Hogan – An American Life,” written by James Dodson. Scott is a graduate of the University of Southern California and has worked in the movie industry as a digital production manager. Scott lives with her husband and three children in Pacific Palisades, California. Michael J. Moncrief is a lifelong resident of Fort Worth. He was first elected as mayor on May 3, 2003, serving Fort Worth and Tarrant County until July 12, 2011. First Lady Rosie Moncrief and Mayor Moncrief served on the Host Committee for Super Bowl XLV. Vital partnerships were established by them with Fort Worth key leaders to host ESPN during the biggest weekend in American sports. In 2011, Fort Worth was named one of the National Civic League’s All-America Cities and it remains in the nation’s top 10 safest cities among the fastest-growing major cities in America. Moncrief’s career began when he was elected into the Texas House of Representatives in 1971. After two years service in the House of Representatives, he was elected as Tarrant County Judge in 1974, where he served for 12 years representing the county. Elected to the Texas State Senate in 1991, he served twelve years. In 2001, then Senator Moncrief was appointed President Pro Tempore of the Texas Senate. Within this capacity, he presided over the affairs of Texas as Governor, with the responsibility to make critical decisions, when the Governor and Lieutenant Governor were out of state. A graduate of Tarleton State University, Moncrief served as president of the student body and was named to Who’s Who in American Colleges and Universities. He is past president of the Tarleton Alumni Association and was honored as a distinguished alumnus. Returning to civilian life after retiring as Mayor of Fort Worth, Moncrief is overseeing his oil and gas business, investments and properties, and spending time with family. He and his wife, Rosie, have two sons, four grandchildren and one great-grandchild. Dr. McCallum practiced for twenty-eight years as an adult and pediatric neurosurgeon in Fort Worth, Texas where he served as chief of neurosurgery at Harris Methodist Hospital and chief of staff at Cooks Children’s Medical Center. He was a founding board member of North Texas Specialty Physicians, a 600 member multispecialty independent practice association. He has written a number of articles and chapters in professional journals and medical texts. Since receiving a doctorate in history, he has taught and has contributed to and written several books on American and military history and is currently the AdRan Professor of the History of Science at Texas Christian University. Over the past eight years, Dr. McCallum has founded two health care data management companies serving as President of Leprechaun, LLC and Chairman and CEO of CenseoHealth, LLC which was recently cited as one of the five fastest growing companies in the Dallas area. In that role, he has written several articles and given numerous presentations regarding health care delivery and payment systems. 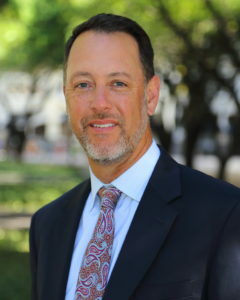 Mike Ball is president of Michael Ball Realty Corporation, a Fort Worth-based commercial real estate brokerage and client advisory firm he founded in 1981. 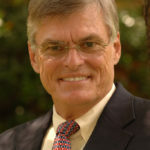 He received a BBA in finance from the University of Texas at Austin, where he played on the UT golf team from 1971-1975. During the 1980s, Ball handled several freelance writing assignments for Golf Illustrated and Golf Magazine, resulting in numerous published instructional articles. A Fort Worth native, Ball is a member of Colonial Country Club and currently serves as the Player Alliance chairman and member of the executive committee of the Crowne Plaza Invitational at Colonial. A longtime fan and student of Mr. Hogan’s career and golf swing, his “Hogan Moment” came at Shady Oaks Country Club during the early 1990s. While Ball warmed up on the practice range prior to a round at SOCC, Mr. Hogan left his seat at lunch and drove to the practice area. He approached Ball, introduced himself, and said he had noticed him practicing from his vantage point inside the clubhouse. He made several nice observations and compliments about Ball’s golf swing, politely excused himself, and returned to the clubhouse. This was one of those rare encounters that Ball will always cherish. He lives in Fort Worth with his wife, Pam. They have two children, Ashley and Grant. As a young boy, McMahan became enamored with Ben Hogan while watching him play in the Colonial National Invitational Golf Tournament. Family trips were scheduled around Hogan’s pursuit of major championships. As a member of Colonial Country Club’s Historical Committee, McMahan assisted with the design and construction of the club’s Ben Hogan Room and contributed many of the items on display. McMahan is a member of the Exhibit Designers and Producers Association, and his company, En-Genuity, designed and constructed the Ben Hogan office at Colonial. In addition, he assisted the USGA with the creation of the Ben Hogan Room at Golf House in Far Hills, New Jersey, and coordinated the loan and return of Hogan memorabilia to the World Golf Hall of Fame in St. Augustine, Florida. He is also a member of the United States Golf Collectors Society and Shady Oaks Country Club (SOCC). McMahan and his wife reside in Fort Worth. Jeff Mooney is Chairman and controlling shareholder of A&W Food Services of Canada Inc. He led the company as president and CEO for fourteen years from 1991 to 2005. Mooney is an alumnus of both the University of Saskatchewan and Harvard University Graduate School of Business. In November 1992, Mooney became the first recipient of the Henry Singer Award for Exceptional Leadership, granted by the Faculty of Business of the University of Alberta. In 1994, he was chosen as Marketing Executive of the Year by the Sales and Marketing Executives of Vancouver. In 2003, Mooney was a recipient of Her Majesty Queen Elizabeth’s Jubilee Medal. In May 2006, he was inducted into the B.C. Restaurant Hall of Fame. As well as being the past Chairman of the Business Council of British Columbia, he is also past Chairman of the Young Presidents’ Organization, B.C. Chapter, and a member of the Chief Executives’ Organization and World Presidents’ Organization. He served for six years on the Board of Directors of the Vancouver Organizing Committee for the 2010 Olympic and Paralympic Winter Games. He is married to Suzanne Bolton and they have four grown children. In 2007, Mooney and a partner acquired the Vancouver Canadians Professional Baseball Team that plays at historic Nat Bailey Stadium. Today, A&W is a strategy-driven organization, which has grown to over 789 restaurants across Canada. 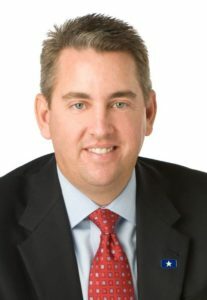 Mooney led the company through eight strategic transitions, including a management buy-out of the business in 1995 and the creation of an innovative Revenue Royalty Income Trust in 2002. A&W has been recognized as one of the 50 Best Managed Companies in Canada for the past ten consecutive years. Fred N. Reynolds is owner of Fred S. Reynolds & Associates, a petroleum engineering consulting firm, formed in 1983 by Fred and his father, Fred S. Reynolds. Fred graduated from the University of Oklahoma in December 1979 with a Bachelor of Science in Petroleum Engineering. He is a registered Professional Engineer in the State of Texas and a member of the Society of Petroleum Engineers and the Texas Society of Professional Engineers. Fred started his career with Chevron USA in 1980 as a drilling and completion engineer in Colorado. In 1981 he was hired as Engineering Manager for Equity Oil Company in Salt Lake City, Utah. Fred moved back to Fort Worth in 1983 to join his father in the consulting business where Fred and his father worked together until his father’s passing in 2001. Fred has served on the board of the Fort Worth Oil Information Library and the First Tee of Fort Worth. At the First Tee he served as President of the Board for two years. In addition, Fred has served on the Board of Shady Oaks Country Club and as the President of the Board in 2016 and 2017. In 1973 thru 1975 while in high school, Fred worked as a bag boy and caddy at Shady Oaks Country Club and was fortunate to caddy for Mr. Hogan during his three years working at Shady Oaks. Brent White serves as Senior Vice President, Commercial Lending for Southwest Bank. His office is in the Fort Worth Club Building in Downtown Fort Worth. Brent joined Southwest Bank in 2007. Prior to joining Southwest Bank, Brent was the Head Golf Professional at Shady Oaks Country Club where he was an employee for 17 years. Brent earned his BBA in Management from Texas Christian University. Brent is active in the local community and served the Tarrant County Bankers Association as President and Shady Oaks Country Club as Secretary. Brent currently serves on The Angela Stanford Foundation and Ben Hogan Foundations boards. Brent lives in Arlington with his wife, April, a Texas Christian University graduate, and their two children, Sophie and Preston. In his spare time, he enjoys golf and spending time with family and friends. Robert Stennett was a business leader in the aerospace industry for nearly a quarter of a century. A native of Shreveport, Louisiana, Stennett holds a bachelors degree in business from Louisiana State University in Shreveport and a Masters in Business Administration in Management from Louisiana Tech University. Stennett has accomplished post-graduate work and facilitated industry and academic partnerships in the areas of supply chain management, operations research, and strategic planning with the Wharton School of Business at the University of Pennsylvania, Clarkson University in Pottsdam, NY, and the Tepper School of Business at Carnegie Mellon University. As a member of Shady Oaks Country Club since 1984 and dependent member before that, he had the opportunity to observe Hogan for almost two decades before the legendary golfer passed away in 1997. 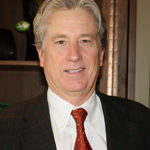 Stennett served on the Board of Governors at Shady Oaks Country Club from 2001 to 2007 and from 2009 to 2011 serving as president of the club in his last year on Board. 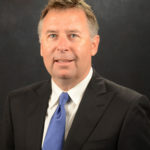 He is a member of the Board of Directors for the Ben Hogan Golf Equipment Company and the Devlin Foundation and serves on the Northern Texas PGA Junior Golf Foundation’s scholarship selection committee. Chip grew up in Lubbock, Texas where he attended Texas Tech University and holds a Business Degree in Finance and Accounting. After graduation Chip joined the professional team at Shady Oaks Country Club in Fort Worth lead by Director of Golf, Mike Wright. Chip worked at Shady Oaks for seven years where he first met Mr. Hogan and learned many of the valuable traits and core values from Mr. Hogan, Mike and many of its Members. Chip soon became a student and a fan of the great Ben Hogan and is fully versed in all aspects of The Hogan Swing. In 1996, he moved on to become Head Golf Professional and General Manager at Great Southwest Golf Club in Grand Prairie where he spent eight years. Chip has been a member of the Northern Texas Section of the PGA for 21 years and comes to The Ben Hogan Foundation from his most recent position as Head Golf Professional at The Tribute Golf Links in The Colony, Texas. The Tribute has been ranked by Golf Digest as one of the top 100 public facilities in America and most recently featured by Golf Digest as one of the top 50 most fun golf courses to play in America. Chip has two children Haley and Dawson and lives in Hurst, Texas. Lindy Miller made a name for himself in the mid 1970s as one of our country’s best amateur golfers, winning such prestigious tournaments as the Southern Amateur Championship and the Pacific Coast Amateur Championship. He was a member of two NCAA Championship teams during his career at Oklahoma State University before graduating with a degree in Business Administration. Lindy was the low amateur at the U.S. Open in 1977, the Masters in 1978, played on the Walker Cup team in 1977 and was “College Golfer of the Year” in 1978. He spent six years as a tournament player on the PGA Tour, where he had five “Top 10” finishes. As a respected club professional, Miller continued winning awards and recognition. In 1996, he started the Lindy Miller Foundation, a charitable organization with the purpose of bringing the game of golf to underprivileged youth. Over the years, his foundation evolved into the First Tee of Fort Worth. Miller worked at Fort Worth’s Mira Vista Country Club, where he last served as vice president of operations and director of golf. He was inducted into the Texas Golf Hall of Fame in 2016 and was the 2016 Northern Texas PGA Professional of the Year. At the Ben Hogan Foundation, Miller is responsible for developing corporate and patron partnerships and the Ben Hogan Invitational. He and his wife Cindy live in Fort Worth.